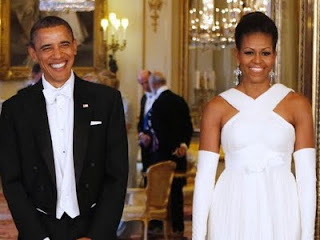 I am a walking fashion disaster so what do I know...... but I was watching the news during the Obama state visit and Michelle walked across my screen and I was like WTF???? Looks like she is bandaged. Accentuates her broad shoulders to the point where it's brought them to my attention... never knew about them before. Is just wrong, all wrong!! !